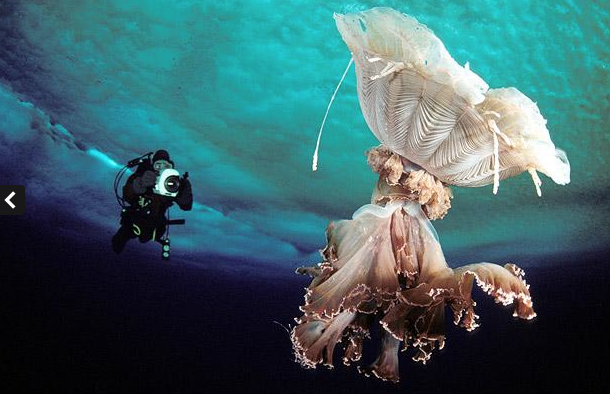 A medusa or jelly Desmonema glaciale. It lives near the surface and the bell can reach over one meter in diameter. This entry was posted in marine plastic pollution, zero waste and tagged art plastic, artplastic, eco art, marine, marine plastic pollution, plastic, plastic breakdown, plastic free; plastic; reuse; refuse;, plasticart, plasticplanet, toxic, zero waste. Bookmark the permalink. ← Marine debris art exhibit displays impact of plastic pollution.